Do you run an SME, but find yourself in need of funds or solutions? Fret not, for Cradle Fund Sdn Bhd and Amazon Web Services (AWS) have offerings that may interest you! 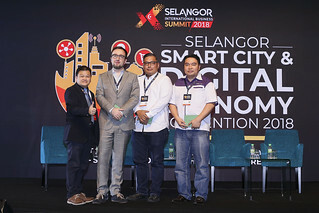 On the 11th of October, the Selangor Information Technology and E-Commerce Council (SITEC) hosted Cradle Fund Sdn Bhd as well as AWS for a joint event, with the talks “Funding Opportunities by Cradle” and “Transformation through Technology by AWS” held at the Selangor Digital Creative Centre (SDCC). The first speaker to take the stage was Diyana Kamarudin, who introduced Cradle to the attendees. Attached to the strategic partnerships division, she talked about Cradle’s aim to be the leading pre-seed and seed stage funding agency in Malaysia, as well as the various programs that have been established by Cradle to help entrepreneurs at the pre-seed and seed stage. 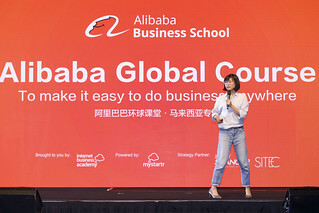 She also named several notable startups that have been part of their programs, such as ride-sharing company Grab, middleman platform RecomN.com, and vehicle trading platform Carlist.my. One of the programs launched in 2017 is CIP300, which is a pre-seed program which provides grants and value-added assistance to entrepreneurs of up to RM300,000. This represents not only an opportunity for startups to develop and commercialise their products for sale, but represents a value-add to the ecosystem as a whole by facilitating entry. To be eligible, the primary applicant has to be a Malaysian/permanent resident aged 18 and above, with either a team of at least two members or a Sdn Bhd company incorporated less than three years ago. At least 51% of the company’s equity has to be held by a Malaysian, and the company’s accumulated revenue cannot be more than RM3 million. Focus areas for CIP300 include ICT, which cover mobile/wireless tech, creative multimedia and content development, shared services outsourcing, hardware design, software development and internet-based businesses; Non-ICT, which cover biotechnology, advanced materials, advanced manufacturing-related tech, green tech, and high-tech consumer and business products; and the Others section, which covers semi-conductors, life sciences, and clean tech. Of course, there is a limit to how the funds are used, with at least 60% of the allocated grant having to go towards commercialisation activities, and while the funding is up to RM300,000, it has a maximum duration of 18 months. Diyana noted that Cradle also provides assistance and consulting for a breakdown of how to use the funds allocated. But “commercialisation activities” seems like a very catch-all term, so what qualifies here? Diyana responded that qualifying expenditures included operational expenditures, such as salaries, office rental fees, and utilities; developmental expenditures such as outsourcing fees and raw material costs; product commercialisation costs such as production and product refinement/enhancement costs; advertising, marketing and promotion costs for campaigns, exhibitions or travelling; and professional fees, such as accounting fees, secretarial fees, and legal fees. A question was raised about the conditional grant of CIP300, where Diyana explained that there were success triggers where, once achieved by the company, it will have to pay back half of what was received from Cradle back to Cradle. Interested parties can submit their pitch application to www.cradle.com.my, contacting cip300@cradle.com.my or dialing 03-4045 8600 for further information. The other program launched in 2017 by Cradle is Direct Equity 800 (DEQ800), a form of developmental equity investment, DEQ800 offers capital injection of up to RM800,000. According to Diyana, the objective of DEQ800 remains similar to other offerings from Cradle, namely “to support and drive the local start-up ecosystem and entrepreneurial activities in Malaysia by investing in high-risk early-stage start-ups”. Diyana also clarified that the investments are expected to achieve capital gains. To qualify for DEQ800, startups have to provide technology-based products or services, and own all rights, titles, and interest in the intellectual property relating to the products or services for the purpose of commercialisation. The company also has to be a Sdn Bhd company, meaning they are registered with the Companies Commission of Malaysia. As usual, at least 51% of the company has to be owned by Malaysian shareholders, and the company has to be limited by shares and a total revenue of no more than RM5 million. One last caveat is that the company has to be in operation for less than five years. The focal points of DEQ800 are on financial services, communications content and infrastructure, electronics and electrical, tourism, wholesale and retail, education, healthcare, business services, oil, gas and energy, and agriculture. 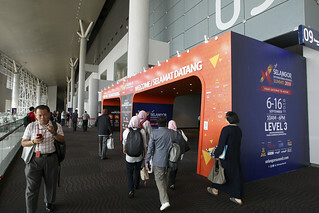 Diyana noted that the maximum ticket size for DEQ800 is RM800,000 per startup, where Cradle may opt for the subscription of either or a combination of ordinary shares and preference shares. The maximum investment duration per company is seven years for this particular program. A question came up here about the amount of equity required by Cradle, as well as the policy of Cradle holding equity when it comes to later funding. To this, Diyana replied that the actual figure will be based on the company’s valuation, but will not exceed 30% of the company’s equity. “The average across the 4 or 5 cases we already have is between 10% to 15%,” added Diyana. She also explained that, depending on the amount, as well as based on discussions with the managerial team, the likely path would be an exit plan when the topic of later funding comes up. Another question was on the estimated time for the approval process. According to Diyana, a lot of due diligence needs to be done, with the average being about three to four months. When asked about earlier cases of DEQ800 recipients, Diyana shared that the success factor tends to be quite specific, as each company has a different plan. The important thing here is how the company plans to gain profit, as capital gains are expected from DEQ800 recipients. Interested parties can share their decks to equity@cradle.com.my, or dial 03-4045 8600. On “Transformation Through Technology”, AWS has Mavis Chuah speaking about the cloud services offered by the company. According to Chuah, Amazon had built up a core competency in operating massive scale technology infrastructure and data centers after over a decade of building and running their highly scalable web application. “Today, AWS is the fastest growing multi-billion enterprise IT vendor in the world, and our motto is to be the most customer-centric company,” noted Chuah. What AWS offers is the on-demand delivery of IT resources via the Internet with pay-as-you-go pricing. Instead of buying, owning, and maintaining their own datacenters and servers, merchants, companies, and organisations can acquire technology such as computing power, storage, databases, and other services on an as-needed basis. “It is similar to how consumers flip a switch to turn on lights in their home, and the power company sends electricity. With Cloud computing, AWS manages and maintains the technology infrastructure in a secure environment, and businesses access these resources via the internet to develop and run their applications,” explained Chuah, adding that capacity can grow or shrink instantly, while businesses only pay for what they use. “Working with AWS also gives your company a global footprint, considering we have services available to deploy in 16 regions, 43 availability zones, and 76 edge locations,” added Chuah. This allows for the easy deployment of an application to multiple regions around the world, allowing users to enjoy lower latency and a better experience, at minimal costs to the provider. Another advantage, according to Chuah, is that there is no upfront cost. This, in turn, allows companies to align their infrastructure cost to their revenue model, by virtue of companies being allowed to increase or decrease the infrastructure resources available in line with the rise and fall of customer demands. “This allows you to be more cost-effective, as well as responsive, in your business, and will change the way we perceive IT resources and infrastructure costs,” noted Chuah. One example Chuah used was Grab, who had transitioned to AWS, and is saving up to 40% in resourcing and manpower. At the same time, a consistently good user experience is provided, and Grab can analyse data in real time. In fact, Grab is utilising AWS as a strategic platform to innovate new features dynamically and accelerating their speed to market for new services. On the question of how, Chuah noted that the cloud has become the new normal. The question is no longer “if we should move to the cloud”, but is now “what do we move first, what order should we move applications in, and how quickly can we do it”. “The benefits that organizations of all shapes in size have realized from adopting the cloud are so great that it’s become impossible for companies to ignore the cloud and expect to remain competitive,” said Chuah, adding that the journey in transitioning to AWS is a well-trodden path that allows for organisations to transition in neat, orderly phases. Chuah then moved to introducing a new collection of tools called Amazon AI, with the aim of bringing the power of artificial intelligence in all its flavours to all developers. The first is Amazon Rekognition, which is an image recognition and analysis system powered by deep learning. The second is Alexa, which is an intelligent personal assistant developed by Amazon, which is capable of voice interaction, organising to-do lists, setting alarms, playing audio files, and providing news. Alexa can even control several smart devices, which makes it a home automation system as well. Lightsail, on the other hand, is a ready-made product that is good for business owners to manage their applications. It functions over a number of operating systems, handshakes with a number of applications, and can function with different stacks. It supports many popular use cases, such as to manage websites, web apps, e-Commerce, simple software, WordPress, and Dev/Test environments. All of these services are available to consumers through AWS, and each provide a flexibility in learning or business management that can only aid a business. “We’re going through a shift in technology that is unlike any in our lifetime, and it is happening at a startling pace, much faster than anybody anticipated. We continue to believe that in the fullness of time, very few companies are going to own their own data centers, which means the majority of applications are moving to the cloud. This makes it apparent that the cloud has become the new normal,” concluded Chuah. There were also over 20 sessions of one-to-one consultation between the attendees and Cradle representatives. During the 10-minute sessions, the representatives answered queries and went over procedures and ideas with the attendees. The event was concluded following the end of these sessions.